Larger Project 3-5, Family Room and Kitchen » Roger Perron Inc. 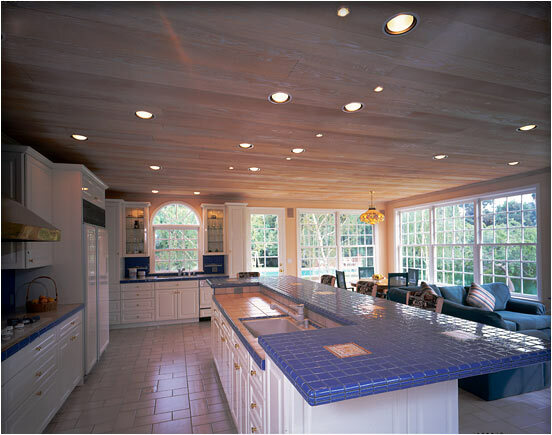 This photo shows the other side of the family room and kitchen pictured in photo #4. The cabinets are white with a special high-gloss paint finish. The main kitchen sink overlooks the pool. The windows are 8′ high and are 18″ from the floor to give an indoor/outdoor appearance.